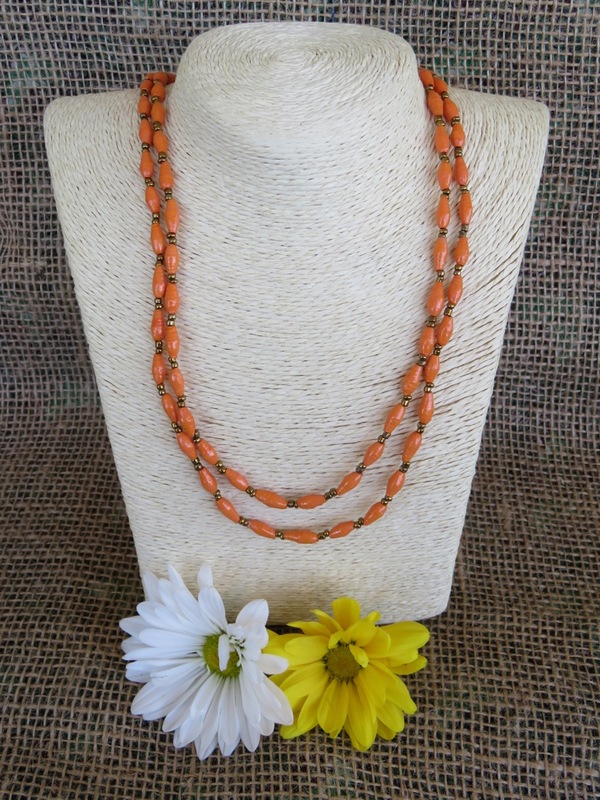 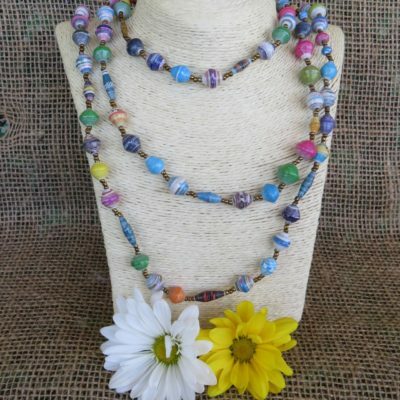 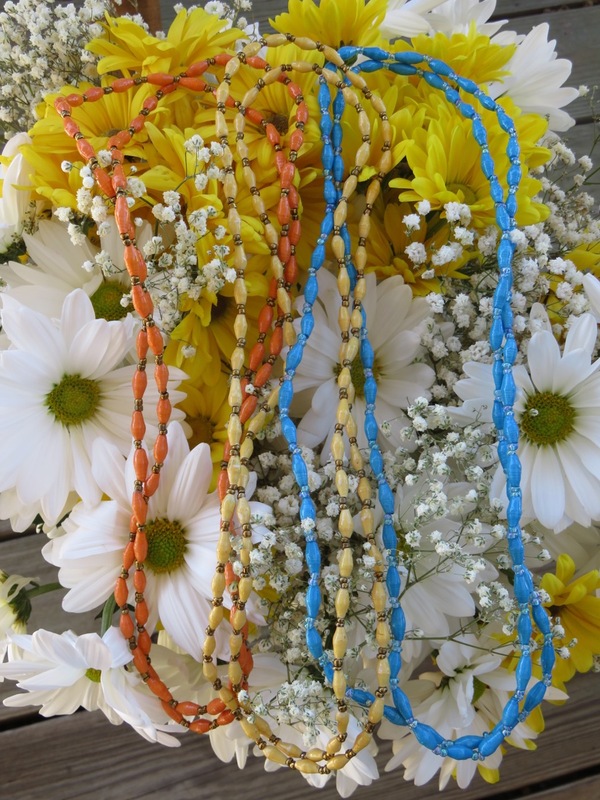 This beautiful handmade necklace, with its vibrant color will brighten your day! 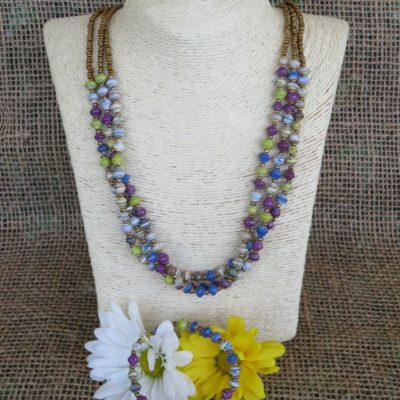 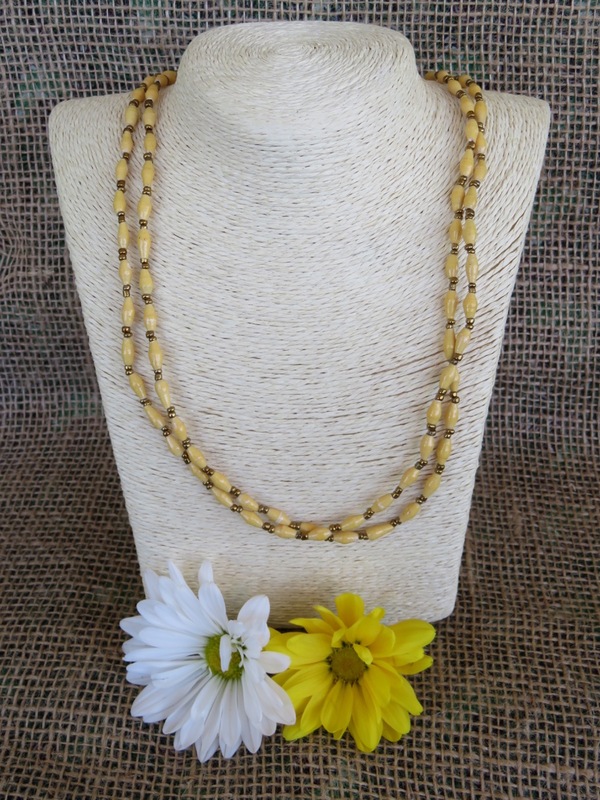 Crafted by women from the Acholi Quarter, each bead is made of recycled magazine paper. 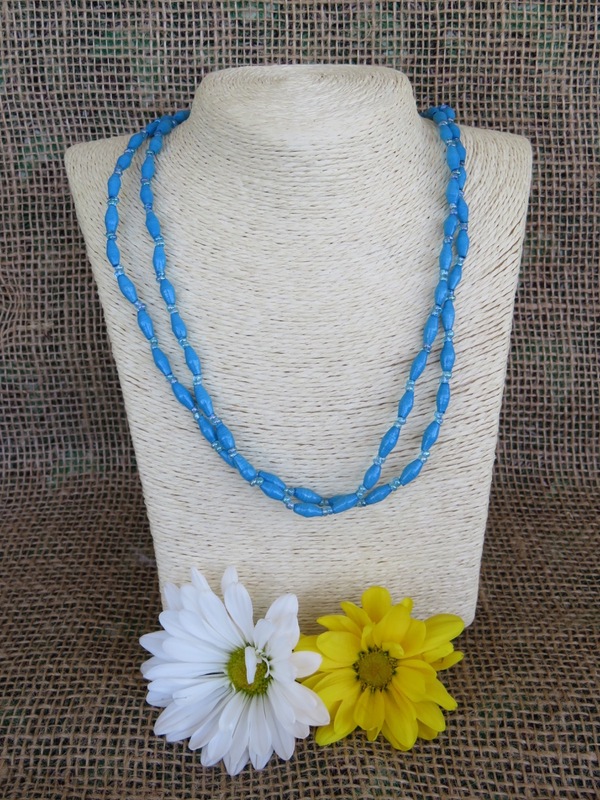 This long necklace can be worn as a single loop, doubled or even tripled!